The incident happened in this area in Thrapston. Image copyright Google. A man dragged from his van by a gang and violently assaulted in Thrapston has been discharged from hospital. Police are still investigating the incident last Thursday (April 4) when the victim was alleged by witnesses to have been taken from his van outside a school in Market Road, Thrapston and beaten by the gang of men. He managed to get to the nearby Mason’s Arms pub after receiving significant facial and leg injuries. Locals called 999 and the man was taken to hospital. 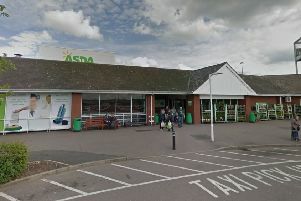 A police spokesman said: “Police were called at about 2.20pm on Thursday, April 4, to reports of a man having been assaulted by a group of men in Market Road, Thrapston. “The victim, a man in his 20s, sustained significant injuries to his face and legs. He was taken to hospital for treatment and has since been discharged. Witnesses to the incident or anyone with information should contact Northamptonshire Police on 101. Alternatively, they can call Crimestoppers anonymously on 0800 555111.